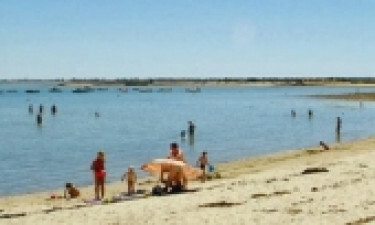 Les Ilates campsite is snugly set on the idyllic Ile de Rè, in the Vendee region. 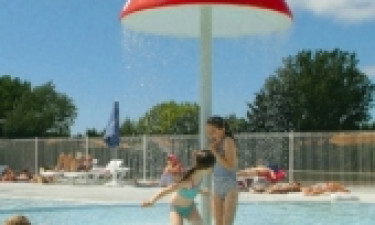 Les Ilates campsite is snugly set on the idyllic Ile de Rè, in the Vendee region. This popular holiday spot has access to beautiful beaches, eye-catching inlets and heavenly harbours, perfect for families who want to experience the very finest in French finesse. 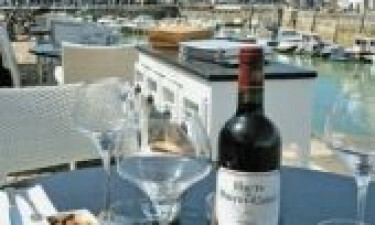 The Vendee area is renowned for its glorious oysters and other French delicacies so why not get cracking and make your dream holiday come true by contacting LUX-camp today. What makes Les Ilates luxury camping site special? Only 750 metres from the beach. Lovely sandy beaches, harbours and inlets. 200 m swimming pool with lots of organized aqua sports. Les Ilates camping holiday resort provides a choice of luxury bungalow tent and mobile home accommodations as well as excellent amenities. On offer is free WiFi and if you want to store valuables, they have safes available at the reception area. There's a playground for toddlers plus a games and TV room, as well as a well run kids club with an onsite animation team who run regular sports tournaments. In the evening there's lots of entertainment like bingo, karaoke, and a family disco. If you're a sporty, active type, you won't have a moment to rest on this beautiful isle. The resident beach and harbour inlets provide wide variety and choice of water and land sports. The best way to see the island in all its glory is to rent a bike, or simply amble through its quaint, quirky streets. Enjoy a little scuba diving, wind surfing, snorkelling, dinghy sailing, kayaking and canoeing. Boat trips and horse riding are other lovely options. There's even a golf course nearby. When you rise from your luxury tent bungalow or mobile home, you'll want to head straight for the onsite swimming complex. There are three outdoor pools; toddler pool with water games, children's pool and one that's suitable for all family members. The onsite staff regularly host aqua-gym and water polo classes so you'll be getting in shape while having a great time. There's a free jacuzzi for you to relax and unwind in afterwards, and plenty of sun beds dotted around the terraced areas. Les Ilates campsite has a resident restaurant, take-away and bar which lends an extra dimension to your luxury camping experience. The restaurant serves food al fresco as well as indoors, perfect for those long, lazy, balmy French evenings. Vendee country is home to many vineyards, so be sure to try some of the local wines and tantalize your taste buds with some traditional French fare. This lovely holiday resort doesn't appear to have a grocery shop, but there is a multitude of choice right on your doorstep. The surrounding harbours are filled with bistros, bars, restaurants and grocery stores.